The Falcons have now signed their entire 2017 draft class. First round defensive end Takkarist McKinley, third round linebacker Duke Riley, fifth round running back Brian Hill, and fifth round tight end Eric Saubert are all under contract, the team announced. The Falcons traded up to the Seahawks’ No. 26 pick during the first round in order to select McKinley, a former star at UCLA. McKinley went viral for his outpouring of emotions on the stage, but the Falcons believe that he’ll be known more for his play on the field before long. The 6’2″, 250 pound athlete has been widely praised for his high motor and his big wingspan should allow him to fend off blockers at the next level. 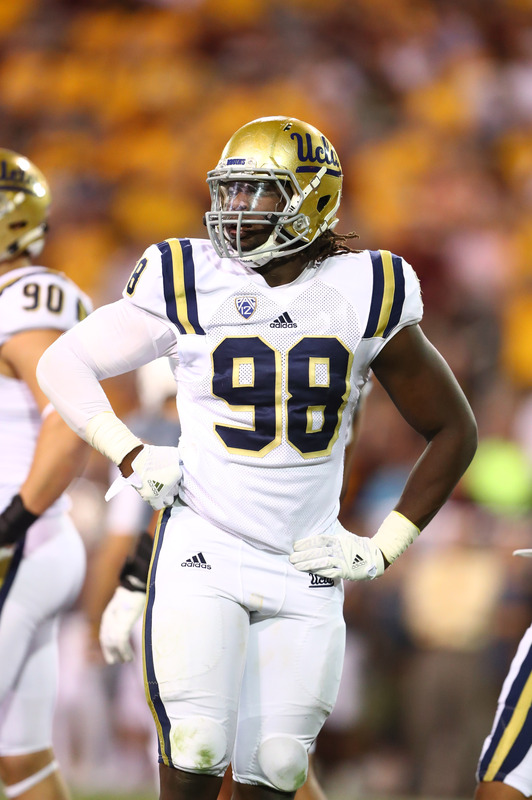 In his senior year at UCLA, McKinley racked up 61 total tackles, 18 tackles for a loss, and ten sacks – all career highs.